Ecstasy is known as a party drug because it’s a stimulant many young people take recreationally. Often, abusing it leads to severe drug addiction. What is ecstasy? Learn more about the drug, the symptoms of addiction, and how to reach lasting recovery. Ecstasy was first synthetically developed in a research lab in Germany. At the time, scientists didn’t know about its psychoactive effects. However, by the late 1960s, ecstasy reemerged in California. Overall, the drug is both a stimulant and a hallucinogenic. It causes the heart to speed up and raises core body temperature. It can also produce serious auditory and visual hallucinations. 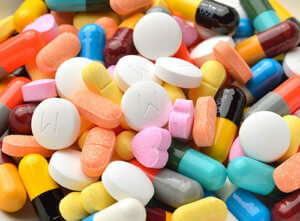 Today, most people abusing ecstasy do so as a mood enhancer. The desirable effects include increased alertness, euphoria, and lower inhibitions. Typically, ecstasy comes in pill or tablet form. The first time someone uses ecstasy, it overwhelms the brain with feel-good chemicals. Hours later, the sharp reduction in these chemicals may make you feel terrible. For many people, their solution is taking more ecstasy. Unfortunately, this process is cyclical and involves feeling bad, taking ecstasy, then feeling temporarily better. Over time, you’re just feeding your addiction. Trying to stop is often overwhelming and can lead to serious withdrawal symptoms. Additionally, some people are more likely to develop an addiction than others. For example, those with a mental illness, a history of trauma, or poor stress management skills have a higher chance of having an ecstasy problem. Using ecstasy doesn’t necessarily mean you have an addiction. However, excessively taking the drug can quickly lead to a problem. Unfortunately, it isn’t always easy to identify an addiction in yourself or a family member, but these signs can help you determine any issues. A person may have an ecstasy addiction if they regularly suffer from hot and cold flashes. Another sign of addiction might be irregular sleep patterns. Losing track of time, carrying tension in the jaw, and ignoring life’s responsibilities may also be indicators of a problem. So, what is ecstasy? It’s a dangerous and addictive drug, but it’s not a life sentence. Overcome addiction thanks to the resources and support at 1st Step Behavioral Health in Pompano Beach, Florida. Call us at 866-319-6126 to learn more about the best path for your personalized recovery. PreviousPrevious post:Why Do Addictions Occur?NextNext post:What are Opioids?